An elementary school principal was arrested on Thursday for allegedly stealing $900 from a 9-year-old, who deputies say is mentally handicapped. PASCO COUNTY, Fla. — An elementary school principal was arrested on Thursday for allegedly stealing $900 from a 9-year-old child. 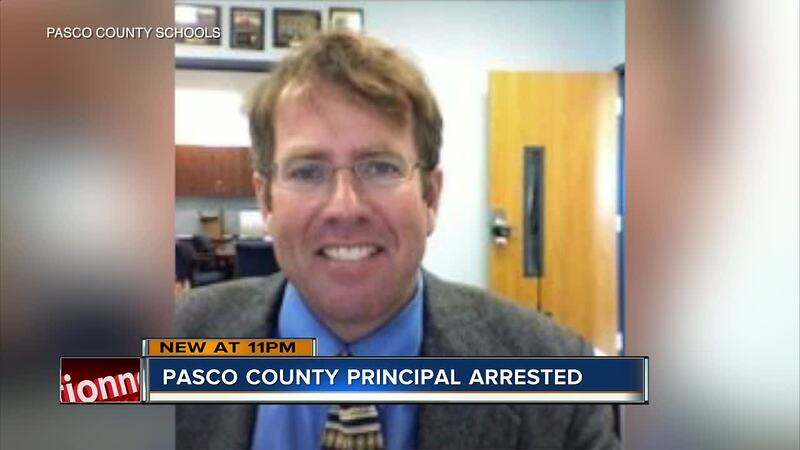 Pasco County deputies arrested Connerton Elementary School principal Edward John Abernathy. The Sheriff's Office say that on Oct. 23, the 9-year-old student, who is mentally handicapped brought some of his parents' money to school. When teachers realized how much money the child had, they took the money, counted it and put it in the principal's office. When the mother of the child went to school to get the money, deputies say the principal gave her only $1,200 not the $2,100 her child had brought to school. "Subsequent investigation by deputies determined the principal kept the $900 difference," the Pasco County Sheriff's Office wrote in a press release. Deputies booked the 50-year-old Abernathy into the Pasco County Jail on one charge of grand theft. Officials with Pasco County Schools say that Abernathy will be placed on administrative leave as they investigate.